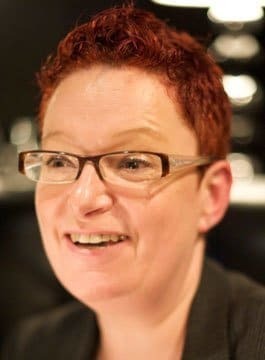 Dr. Sue Black OBE is a Senior Research Associate in the Software Systems Engineering Group in the Department of Computer Science at University College London and a Senior Consultant with Cornerstone Global Associates. Sue was delighted to win the PepsiCo Women’s Inspiration Network Award recently. Sue was named Tech Hero by ITPRO magazine: “We look to Sir Tim, Sue Black and other tech leaders for inspiration”. She was also awarded the BCS John Ivinson Award 2009, and nominated for the Computer Weekly IT Blog Awards 2009 and 2010: IT Twitter User of the Year. A keen researcher, Sue Black completed a PhD in software measurement in 2001 in which she reformulated an algorithm used to compute the ripple effect measure for C source code. Her research interests are software engineering, software measurement and software evolution and she is interested in anything that can help to improve the quality of software. Recent papers include: “Formal vs Agile: survival of the fittest” and single author paper “Deriving an approximation algorithm for automatic computation of ripple effect measures”. Since 1998 Sue has been campaigning for equality, and more support, for women in tech. She founded the online networks LondonBCSWomen in 1999 and BCSWomen in 2001. BCSWomen now has over 1200 members. In 2011 Sue set up The goto Foundation, a non profit organisation which aims to make computer science more meaningful to the public, generate public excitement in the creation of software, and help to build a tech savvy workforce. Due to her vociferous campaigning Sue has been in the media an increasing amount over the last few years. She has appeared on BBC Breakfast Time, BBC News 24 and the BBC Radio 4 Today program.